​Kenneth C. Gardiner, CPA, CCIFP, CDA of Syracuse, N.Y., joined Cazenovia College’s Board of Trustees in 2016. 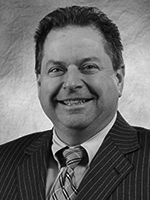 Gardiner, partner at Dannible & McKee, LLP, has worked in accounting for over 30 years. He is the partner-in-charge for assurance services, quality control, technology, and services to construction contractors at the firm. A graduate of LeMoyne College, he has numerous professional and community organization affiliations, including chairman and president of the Greater Syracuse Business Development Corporation, chairman of the New York State Society of Certified Public Accountants Construction Contractors Committee, and treasurer of the board of directors for the Onondaga County Water Authority.